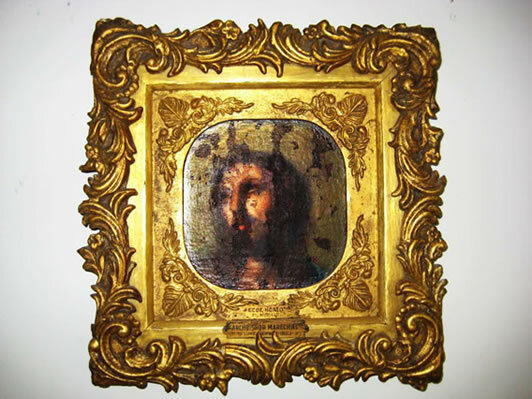 This painting of the Head of Christ and the Lap Trunk are the only two objects in the house that once belonged to Mrs. Seton during the time she lived here on Paca Street. 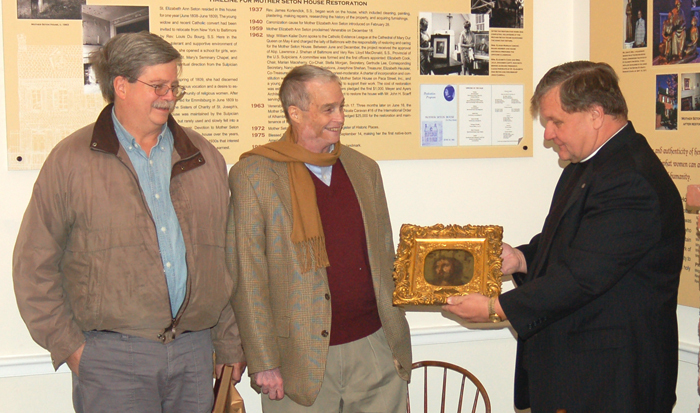 The painting was believed to have been a gift to Elizabeth from her husband William upon his return from a trip to Europe. 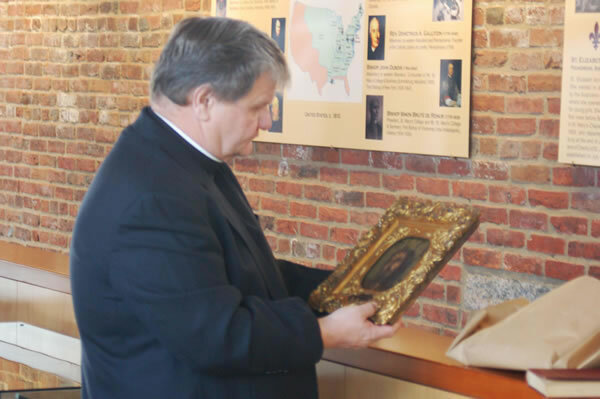 In 1821, on her death bed, Elizabeth Seton gave the painting to Archbishop Maréchal. 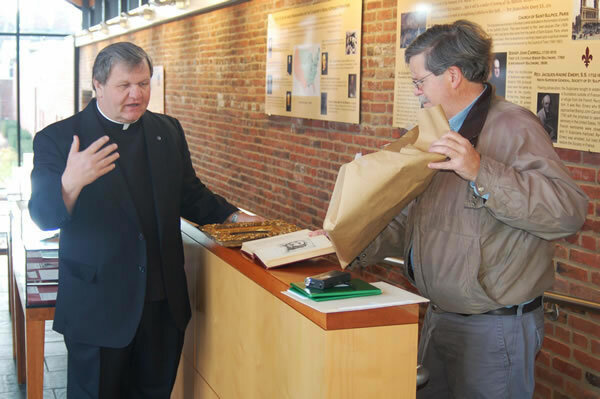 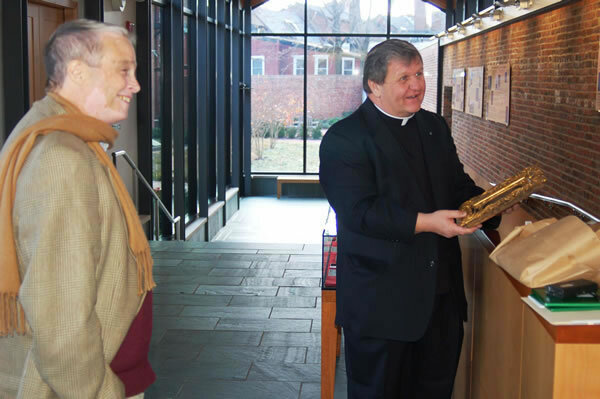 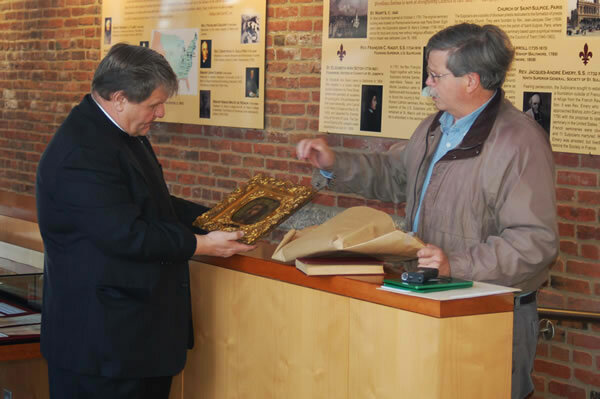 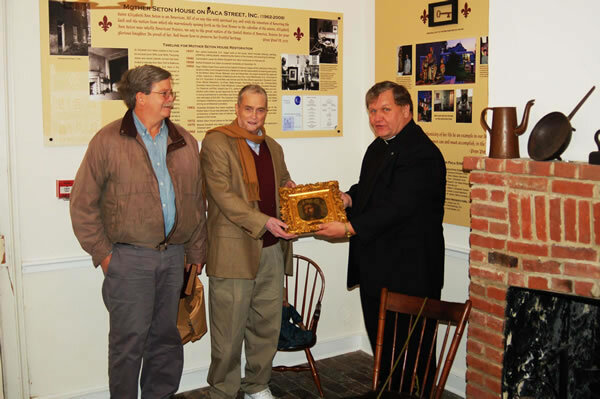 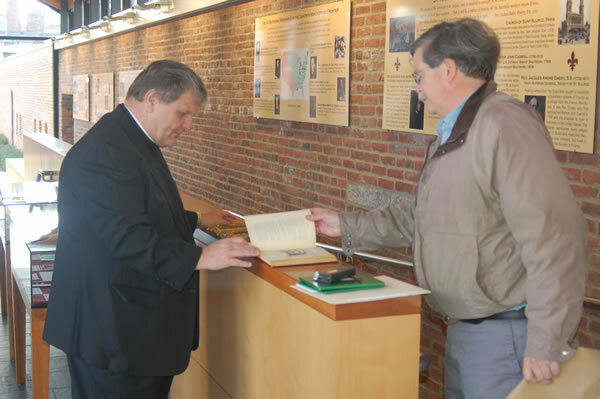 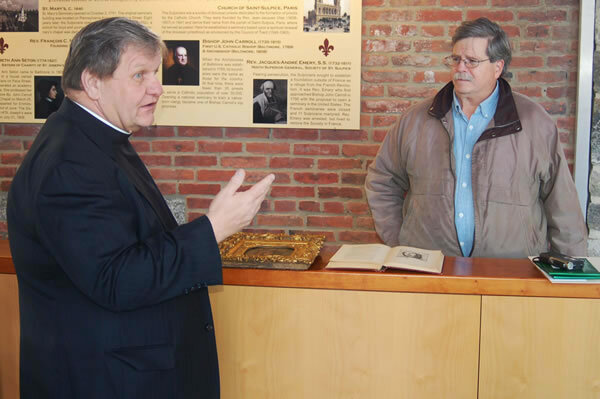 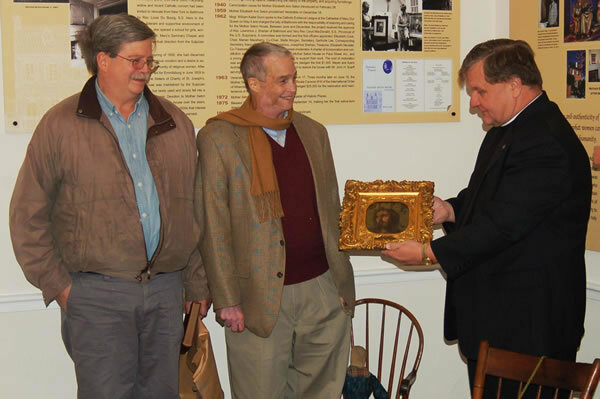 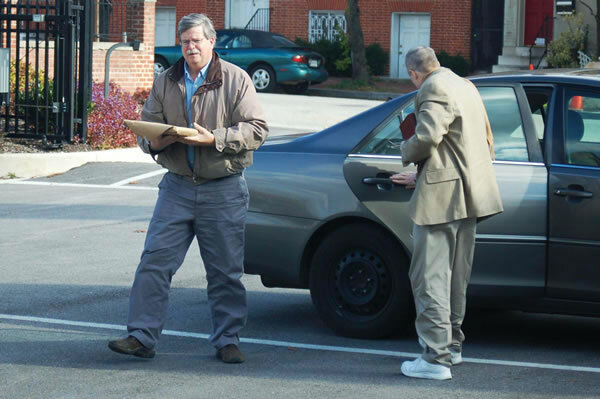 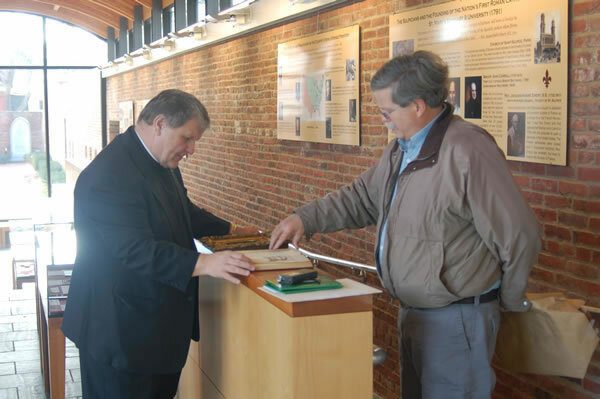 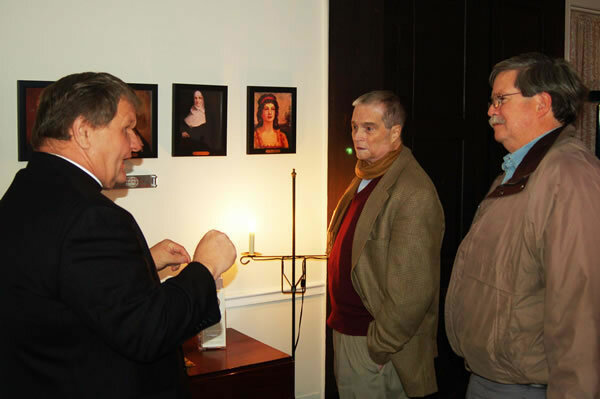 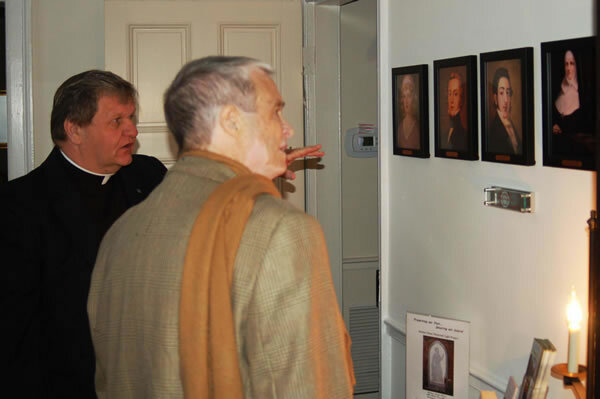 It is believed that it was, in turn, given to Mr. Luke Tiernan, a prominent Baltimore businessman, by Archbishop Maréchal for his help in finding employment for William and Richard Seton and as a token of friendship. 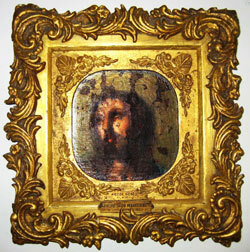 Charles Tiernan always valued very highly among his pictures, an oil painting of the “Head of Christ” . . .